Don’t let the cold or flu spread. 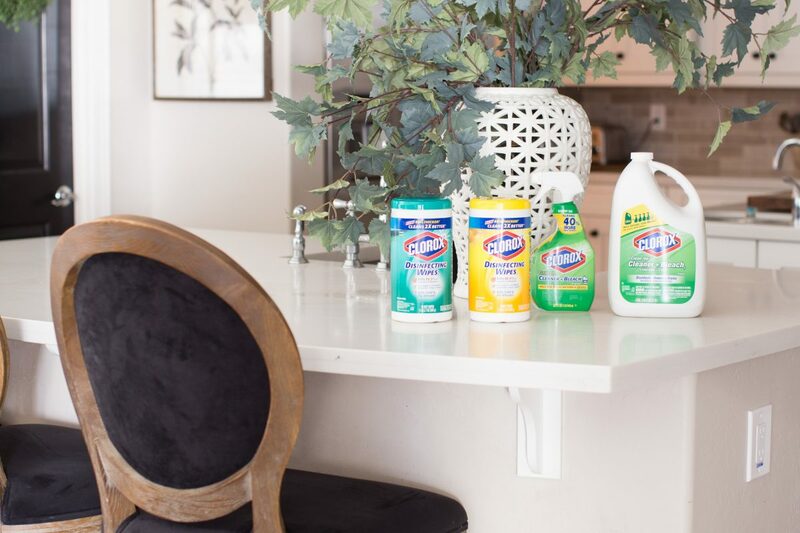 Keep your house disinfected with these simple tips during cold and flu season! This post is sponsored by Home Depot x Clorox. Christmas is packed up. The Christmas carols have stopped and in the background, instead of jolly Christmas music, all you can hear is the faint sound of a cough. Yep, the cold and flu season is coming or maybe in your house it’s already here. As a mom I think one of my number one goals is to keep my babies healthy throughout the year. There is nothing then your kids not feeling well. No matter how many vitamin C chews, extra orange juice during breakfast or ginger cough drops I try to sneak them, at least once a year one of my kids comes down with a cold or some other virus. After the year that all five of us got the flu, we decided to get the flu vaccine so thank goodness we don’t really deal with that but we still get the common cold and with a few of my kids with asthma issues, we try to keep all the germs out of our house so everyone can be them best selves! 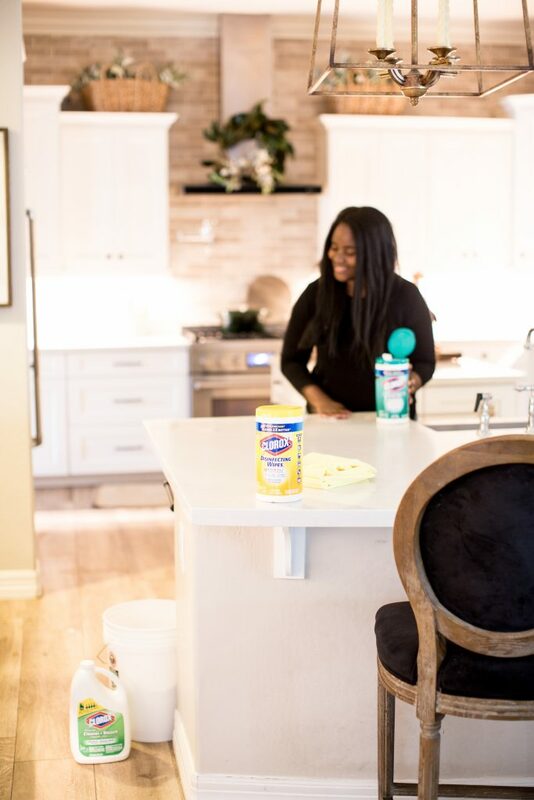 If you’re just getting over a spread of sickness or even just trying to prevent anything from spreading in your home this season, here are few tips to get things back to clean. Moving the air out of the room just makes me feel better as a mom. Maybe it’s because it just makes sense and I saw my mom do it when I was growing up, but open windows are great when to move stale air out and fresh air in by opening the windows every day. You don’t have to leave them open all day, just long enough to freshen each room. I know I’m not the only one who seems like a disinfecting ninja when it comes to wiping down surfaces when someone in the house is sick. But I can’t help it. One time my oldest was sick and noticed I was following him around like a mad woman! 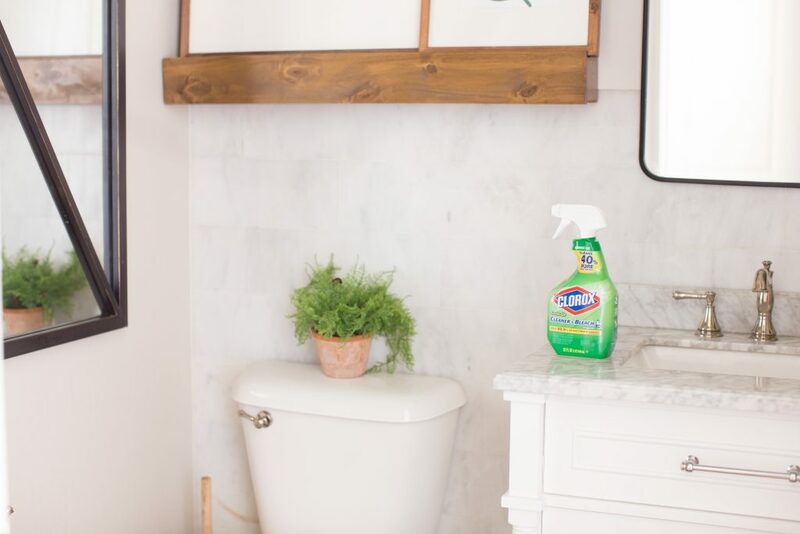 You don’t need to go crazy like me but using disinfect wipes like my favorite from Clorox gives me peace of mind that little germs are dying around the bathroom surfaces, door handles, stairs, light switches and anywhere else cute grimy little hands go when they are sick. 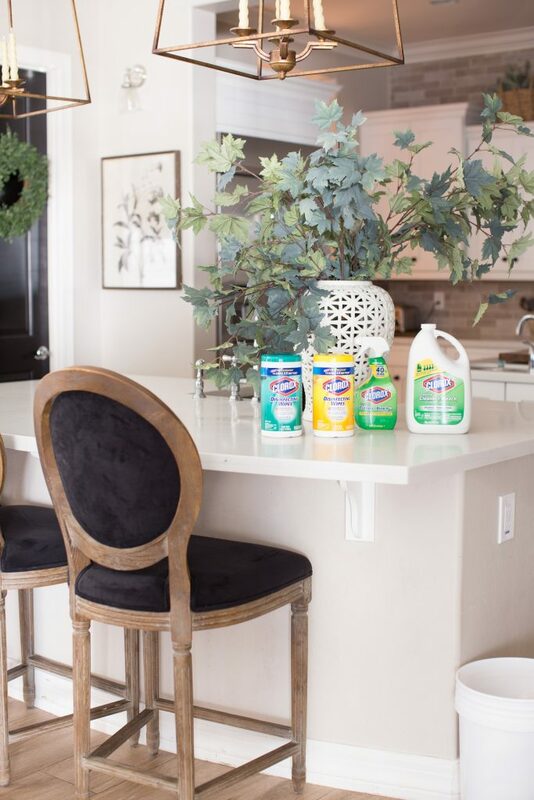 I love my cute cleaners to freshen up my home but when I want to kill 99.9% of bacteria & viruses, it’s Clorox! 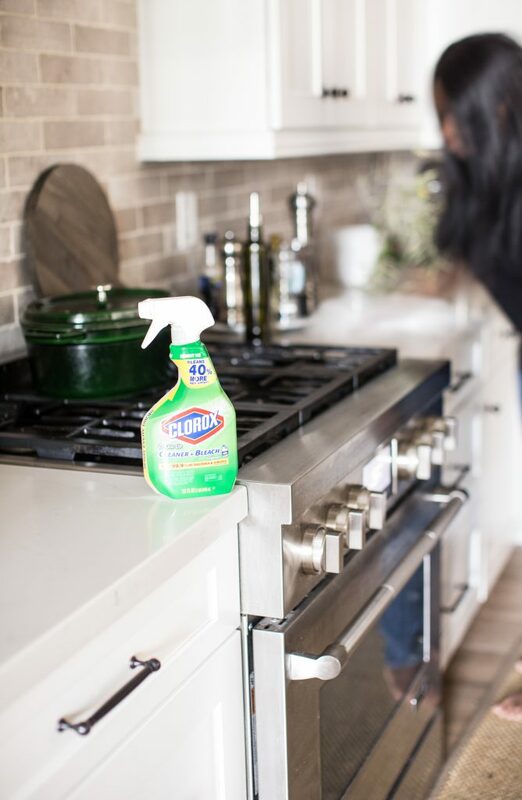 If you’re cleaning and disinfecting your kitchen, make your way over to the faucet, fridge and oven handles and give them a little wipe down too. As I’m cleaning I just go over everything that is touched on a daily basis with a Clorox Disinfecting Wipe! Another tip! Your DEBT and CREDIT cards! These cards get touched often by strangers so use a wipe once a week or so to clean off those invisible germs! Take your sheets, pillow cases and anything that has been touched by the flu and give it all a nice hot bath! If you have a sanitizing selection on your washer use that to really get those germs out. If your sheets and bedding are white, use a cap full of bleach to help with the odor. If the stomach flu or any other virus is running ramped throughout house make sure you try to keep the person or persons separated from the rest of the family! Use a bucket or pail for tissues and anything else that my come up. When your in the clear, to clean the buckets, use some gloves and dispose of the contents and rinse the bucket out. I like to do all of this outside if I can to keep it from spreading. 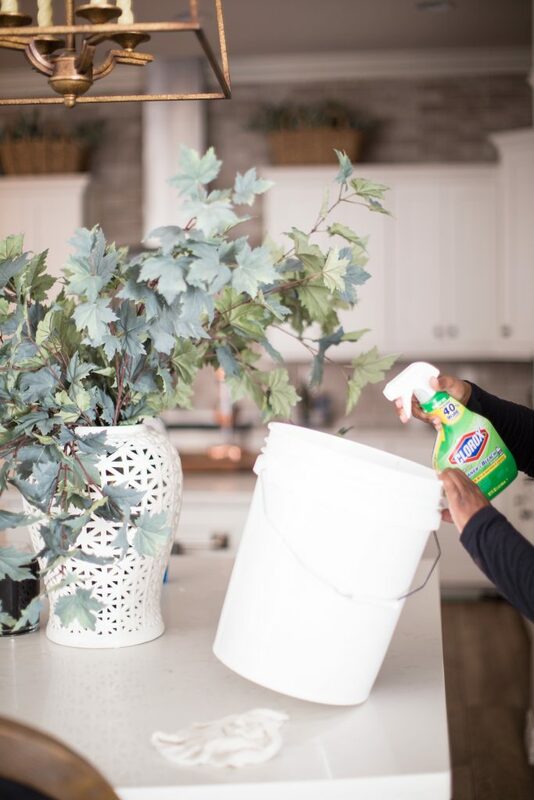 To disinfect the buckets and pails I like to spray a good amount of Clorox all purpose with bleach cleaner and let it sit for about 30 minutes. 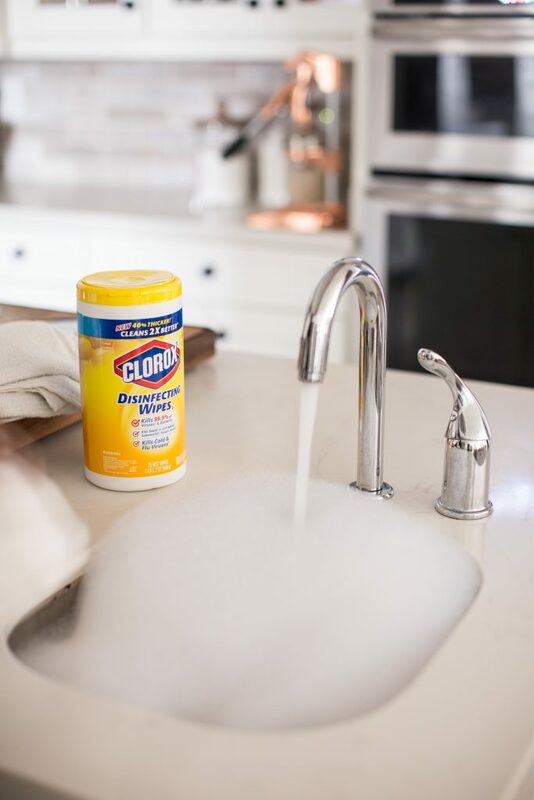 Clorox all purpose cleaner with bleach also works great to remove any odors in the bathroom and kitchen after a cold or flu as well! You must always handle anything with bleach very carefully so I alway spray and remove myself and kids from the area immediately so I let the bleach work and do it’s job. I also open up windows, let the solution sit for a bit and then come back to wipe everything down! What are some of your go to’s when your trying to kill germs in your home during cold and flu season?